A BSN is a Bachelor Degree in Nursing that prepares you for a career as a registered nurse (RN), but also qualifies you for a series of responsibilities and roles that a regular RN is not qualified to do. the bridge RN to BSN program, a shorter program dedicated to nurses who already have their RN license. Whether you’re already a registered nurse (RN) or you plan on becoming one, getting a BSN degree can open up plenty of nursing career opportunities that go beyond patient health care and can lead to new administration and leadership positions. This means that you can get a BSN degree with or without having an RN. Nursing is a truly competitive field and only having an ADN degree doesn’t elevate the profession enough. A BSN degree is now preferred. If you’re looking to further your education and want the best and fastest way to get a BSN degree, here is our complete BSN guide. Here you will find all the information you need to know about what you can do with a BSN degree, how to prepare for it, and the various career paths it opens. Keep reading and discover why the BSN degree is important, what the requirements are, and what it can do for your nursing career. What is BSN and What does it Stand for? BSN is the abbreviation for Bachelor of Science in Nursing, an academic degree in science and the principles of nursing. The degree is typically awarded by an accredited tertiary education provider. A BSN degree in nursing is a basic entry-level program for students without any previous medical degree in nursing education, as well as for RN nurses who want to further improve their education. BSN programs prepare students for careers as registered nurses in hospitals and long-term care by focusing on critical thinking, leadership skills, and professional development – the assets needed for students to develop the ability to make informed decisions about safe patient care. How many years does it take to get a BSN degree? BSN programs award a baccalaureate nursing degree and require three to four years of college academic credit. Sometimes it may take longer – for example, in the case of part-time BSN programs. Take a look at the BSN program! BSN degree programs provide a broad base of knowledge for entry-level nursing positions. Even though you can work as an RN (registered nurse) without your bachelor’s degree, the BSN degree is important because it allows nurses to carry more responsibility in their department and earn more money as a result. Let’s have a look at the differences between the different types of nursing education degrees. The most popular path to becoming a registered nurse is earning an ADN/ASN degree (Associate of Science in Nursing, also known as Associate Degree in Nursing). 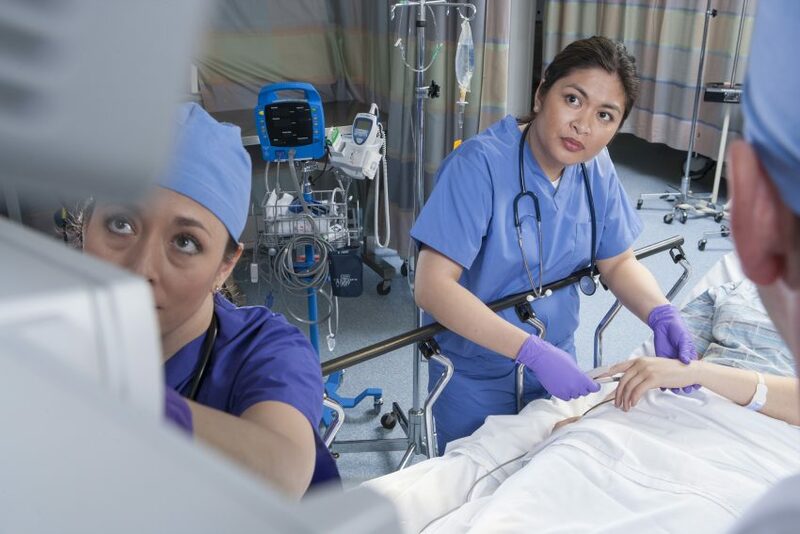 The most popular path to becoming a registered nurse is earning an ADN/ASN degree (Associate of Science in Nursing, also known as Associate Degree in Nursing), which is a two- to three-year program. It requires general education classes which include core nursing courses and anatomy, chemistry, and biology. The associate’s degree is the minimum education required to get licensed as a registered nurse. However, with the ever-changing nursing landscape and nurses required to have advanced knowledge and skills, registered nurses are advised to earn their BSN. Is a BSN better than an ADN? 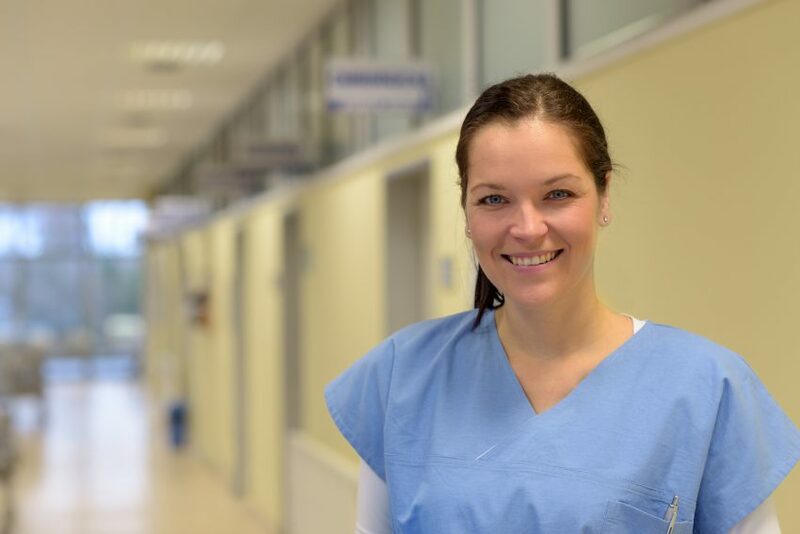 Opportunities arise faster for nurses with BSNs and these opportunities are often associated with a higher level of pay. Considering that the nursing field is extremely competitive, experts say that all registered nurses will be required to have a BSN degree in the near future. In order to improve patient safety, specialists recommend that 80% of nurses nationwide be BSN- prepared by 2020. 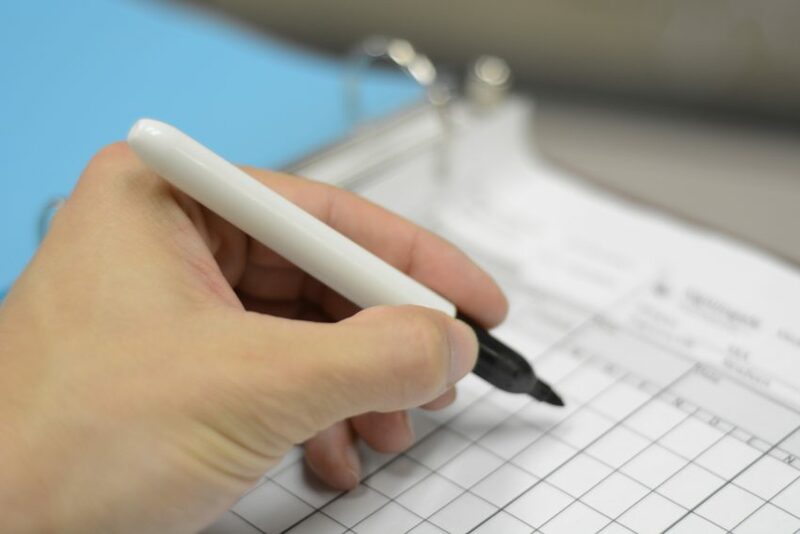 You can become a registered nurse if you earn either an associate’s degree or a bachelor’s degree in nursing, after which you have to pass the national licensing examination (NCLEX). Nurses who wish to continue their education can go on to earn their MSN, a Master of Science in Nursing. After a Master’s degree in nursing, graduates can pursue a wide range of careers. Some career examples include teaching at community and technical colleges or becoming a nurse practitioner, anesthetist or clinical nurse specialist. 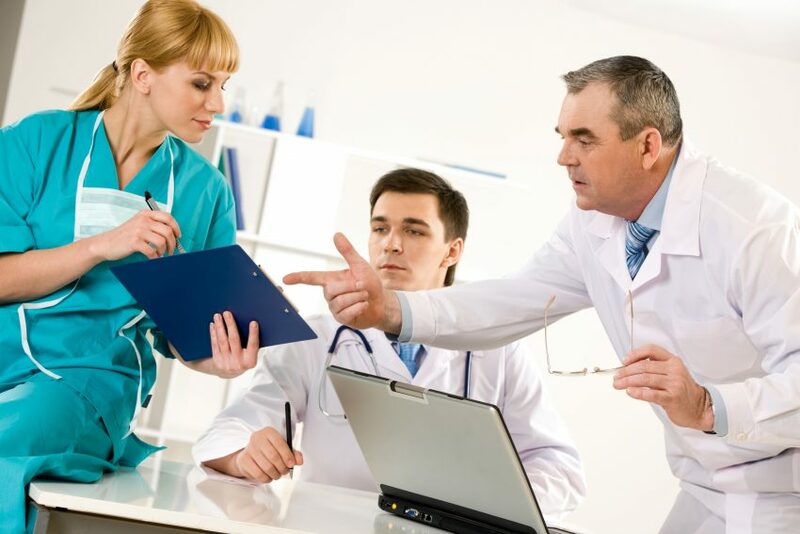 Find out what are the differences between a BSN and MSN. Some people choose to change careers and pursue a second degree while others simply like to get things moving as fast as possible. For these individuals, there is one option to consider: an accelerated nursing program. What is an Accelerated Bachelor of Science in Nursing (BSN)? An Accelerated BSN is designed for students who already have a bachelor’s degree in another field. For example, if you already have a bachelor’s degree in liberal arts and want to become a registered nurse, an accelerated nursing program may be for you. This type of program is also known as a second-degree nursing program, allowing students to earn a Bachelor of Science in Nursing (BSN) degree in less than a year and a half. Can I Take an Accelerated Degree in Nursing If I Want a Career Change? Accelerated programs usually offer a flexible schedule, allowing students to attend school in the evening or on weekends. Because of the flexibility in schedule, the accelerated program route is more popular among students who are looking for a career change or to further their education and career. Accelerated nursing programs provide a fast-track degree and offer a hands-on job experience quickly. Keep in mind that a lot of information is packed into a shorter period, which is why an accelerated program can be challenging at times. Although it gives you the opportunity to complete the program quickly, bear in mind that this is a very rigorous program and definitely not for everyone. There are also financial aid considerations when trying to apply for federal loans for a second bachelor degree. A BSN is a good degree if you’re looking for better employment opportunities and career advancement and want to serve your community as an agent of health. 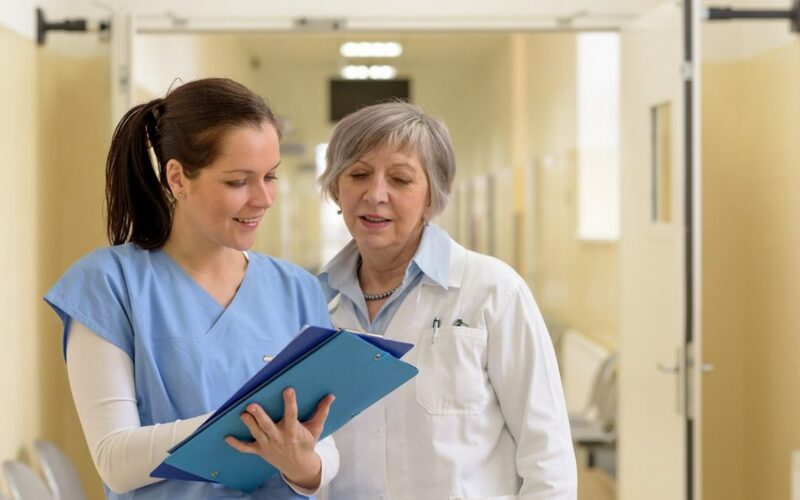 Employers are starting to divulge the benefits of having BSN-prepared nurses on staff and the value they bring to the nursing units. 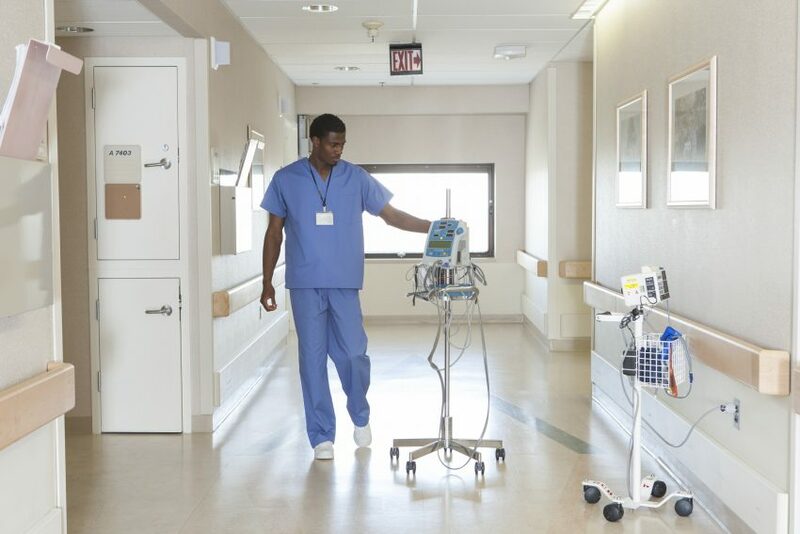 It’s a necessity for RNs to continue their education to be able to provide quality patient safety and care in diverse environments and areas of care. If you see yourself working in health care in the near future, obtaining a BSN degree is one of your best options and a strategic move to ensure job security and advance your career. There is a nursing shortage in the United States and holding a BSN degree can be a great asset that will provide you not only with a good salary but a stable career. What are the benefits of getting a BSN degree? Deeper training: A BSN Curriculum teaches much more than clinical skills. BSN-prepared nurses have more training in the social sciences, communication, leadership and critical thinking. More opportunities: One role of the BSN program is to familiarize students with clinical experiences in non-hospital settings (administrative positions, consulting, etc.) in order to showcase the numerous advantages of the careers that can be pursued with a BSN degree. Greater salaries and benefits: Nurses with a BSN degree are able to move up through the ranks more quickly and while duties and responsibilities will increase with the job title, the salary will reflect the new role. How Much Does an RN vs RN with a BSN Make? A bachelor’s degree allows RNs to pursue higher-level management positions, which means quicker advancement within a health organization and a higher salary. The expected pay usually varies by level of education and geographical region. Read more about the nursing salary pay scale in the United States, by state. Registered nurses enjoy great employee benefits, solid job stability, and also some of the highest average paying jobs nationwide. According to the U.S. Bureau of Labor and Statistics, RNs with zero to five years of experience earn about $60,483 per year and for nurses with more than six years of experience, the annual salary reaches about $65,459. The average salary for a registered nurse is around $64,690 per year or about $31.00 per hour. If you’d like to find more specific salary details about each nursing job specializations, check this Nurse Journal article. Unlike RNs without a BSN, BSN graduates who pass the NCLEX-RN qualify for advanced positions which may come with a higher pay. There is a great difference between the salary rates because of the extensive education and training BSN holders have. However, BSN nurses do not make more than ADN nurses if they work as a registered nurse, it is dependent on the job and nurses with a BSN degree qualify for advanced positions which may come with a higher pay In 2011, ADNs earned about $64,000 on average while BSNs made $76,000. You can look up the historical rates on the Indeed website. For example, an RN with a BSN can become either a registered nurse supervisor with an average salary of $78,493, a clinical nurse manager with an average salary of $78,493 per year, or a family nurse practitioner with an annual salary of $78,493. All data is compiled from Indeed.com, from highest to lowest. Registered staff nurses provide basic care and monitor the patient’s health state. They work in hospitals and other healthcare facilities. The average yearly salary for registered nurses is $68,910 a year. A clinical nurse educator provides training to recent nursing graduates, develop curricula and teach health care topics. Some health educators work directly in hospitals, but many of them can be found in colleges and universities. The average yearly salary for clinical nurse educators with a BSN is $76,000. Nurse practitioners can diagnose patients, prescribe medication, and are even allowed to work without the supervision of a doctor in some circumstances. The average yearly salary for nurse practitioners is $95,070. A medical and health services manager performs administrative tasks, plans, directs and organizes medical services in order to improve quality and efficiency. They also take care of the finances and create work schedules, while being responsible for a specific sector of the medical industry, a hospital floor or a special group of employees. The average annual pay for medical and health services manager with a BSN is $101,340. Skills: What Can You Do with a BSN Degree? A BSN degree may be essential if you want to move up to a management role. It provides you with broad knowledge in management and leadership that become assets you’ll need in order to be a leader. Keep in mind that a BSN is essential if you ever want to get out of basic clinical care and pursue a career in the administration or teaching department. What Certification Will You Need at the End of the BSN Program? After you finish your degree program, you have to take the National Council Licensure Examination (NCLEX). To get there, you need to apply for a nursing license from your state board of nursing. Remember that each state has different eligibility criteria, so check with your state board to be sure you’ve met the requirements. Find here the list of state boards of nursing from the National Council of State Boards of Nursing. BSN Requirements: How to Prepare to Get a Bachelor of Science in Nursing Degree? If you want to get a BSN degree, your best option is to start early or get some tutoring help from the college you want to get in. High school is a good place to gain anatomy, biology, and chemistry knowledge. If you want to be eligible for professional admission to the Bachelor of Science in Nursing (BSN) program, you have to complete some prerequisite courses. All prerequisites must be completed with a “B” grade or better. The minimum prerequisite GPA (calculated based on this list) for admission consideration is a 3.0. Nightingale College offers the general education (GE) prerequisites. Once your prerequisite classes have been completed, make sure that you take nursing as your major. That will ensure the right path for earning a BSN degree. If you want to practice as a registered nurse, you must follow some prerequisites before you can get accepted. 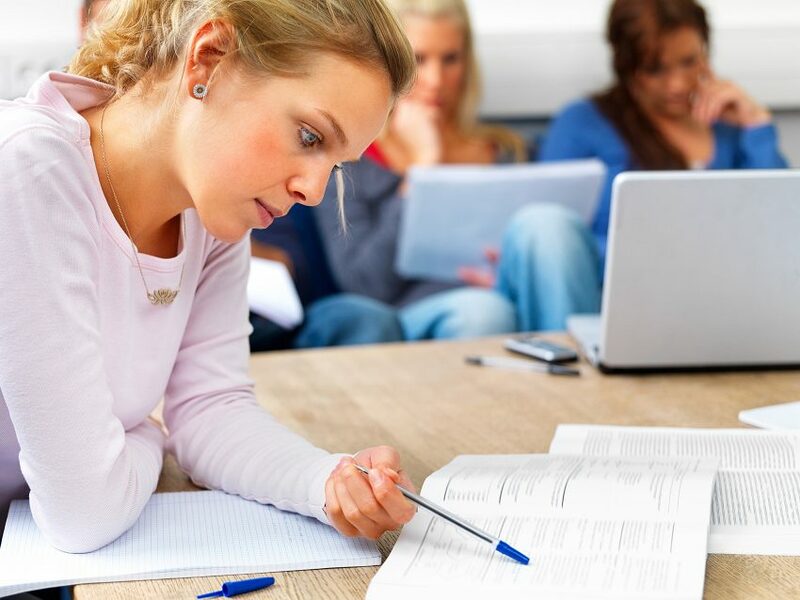 The requirements usually differ depending on the state you are studying in and the college you want to attend. Curriculum: What Does a Bachelor’s Degree in Nursing Consist of? The BSN curriculum structure varies considerably from college to college. Some programs can be completed partially or fully online, while most consist entirely of traditional classroom courses. How Long Does a Bachelor Degree in Nursing Take? Completing a BSN program depends on your level of education and dedication. A bachelor’s degree program takes four years. Part-time attendance is an option at most schools, but the program will take longer to complete. At Nightingale College, the RN-to-BSN Bridge Program is completed in 12 months of instruction without the required GEs. More information about the transferable general education credits is available in the College Catalog. Can You Get a BSN Degree Online? 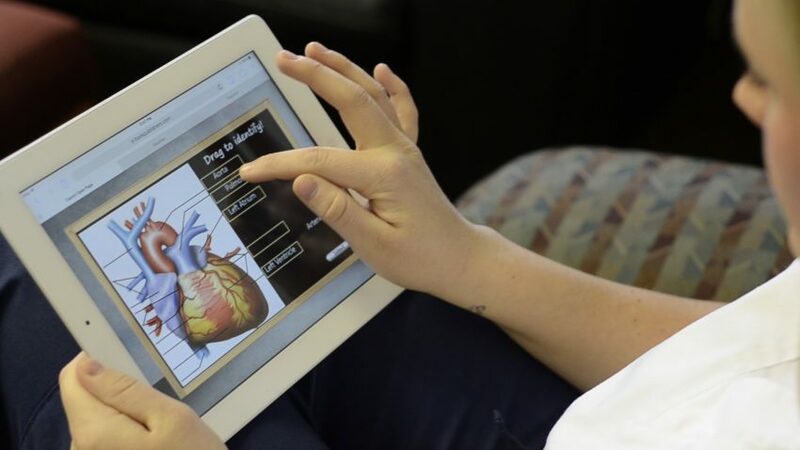 Even if nursing is a hands-on job, more and more people are looking into ways of studying online. Traditionally, this was not possible, but there are now various bachelor and associate degrees that can be completed in part online. For registered nurses looking to take such online nursing programs (didactic part only), there is the RN to BSN program. The program is designed for those who already work as a registered nurse but want to improve their clinical skills and knowledge. Remember that these types of programs are usually available only to those who already have healthcare experience and a high GPA. BSN Tuition Fee: How Much Does a BSN Cost? The tuition fee for a BSN degree that takes four years to finish usually ranges from $50,000 to well over $80,000 in private institutions and large universities. If this exceeds your budget, you can check out BSN programs offered in community colleges. The costs are considerably lower. Tuition and fees in community colleges can range anywhere from $5,000 to about $14,000 a year. At Nightingale College, the RN to BSN Bridge Program cost $375 per semester credit. The additional $100 fee per course includes all required e-Books and reference materials. 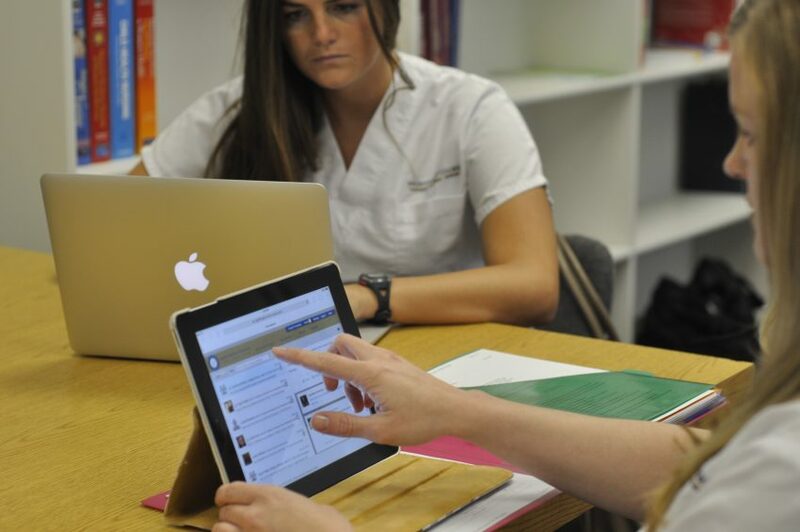 The RN to BSN Bridge Program provides distance instruction, where students engage in online didactic learning about topics such as community nursing, leadership, policy, ethics, critical care, gerontology, health promotion, disease prevention, etc. The program may be completed in 12 months without the required General Elective courses. Upon satisfactory completion of the RN to BSN Bridge Program, students will obtain a Bachelor of Science in Nursing (BSN) Degree. For a BSN student, a four-year course that earns you the necessary nursing credentials can indeed be costly. Fortunately, there are scholarships available to qualified applicants. Very few students have to carry educational financial burdens alone. 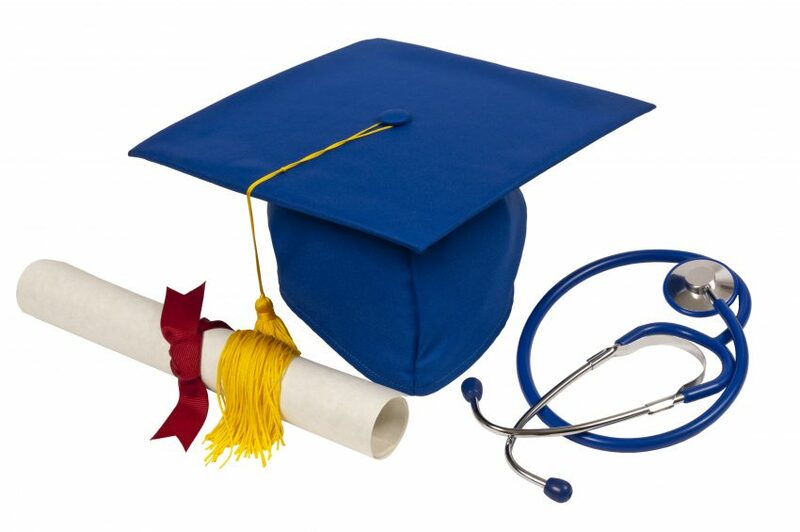 Nursing Scholarships: There are plenty of nursing scholarships and they vary by sponsor. Many of the best scholarships are limited to certain schools, states or certain backgrounds. Your best bet is to read the terms of each scholarship carefully before submitting an application. Federal Student Loans: Federal Student Aid (FAFSA) is available to many students and often the first recommendation by financial aid advisors. To learn how to apply for FSA, visit their website by clicking here. Nursing Grants: Grants operate like scholarships in that they are awarded according to financial need or academic performance and are often designated to students pursuing degrees in high-demand fields. 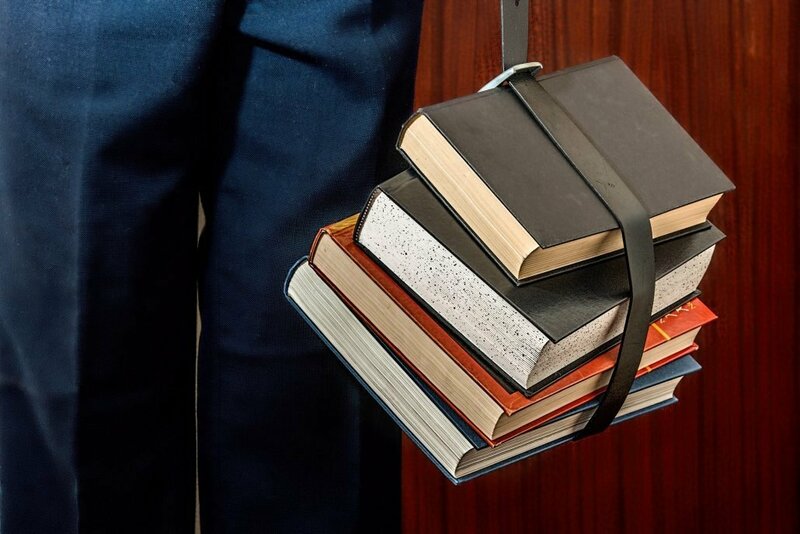 To check the list of available education grants in your state, check here. Discover more about our RN to BSN Scholarships! What Comes After the BSN Degree? Where Can I Get a BSN Degree? Choosing the right BSN program depends on your desires and needs. You could pursue an on-campus BSN at a large university away from home or you can choose to stay close to your family and take the didactic courses online, while you complete the clinical hours at a college/health facility near you. If you already have a nursing background and wish to take it to another level with a BSN degree, you should consider the RN to BSN program at Nightingale’s College. Get in touch with Nightingale! Am I too old to go back for a BSN?